Certain interactive features and content on the Site are accessible only to subscribers ("Members") and are subject to additional terms and conditions set out below. (References in these Terms to ’you“ and ’your“ shall include both Members and non-Member users of the Site). In order to register with our Site, you must provide your first and last name, email address, and birth date. We ask for your birth date for the purposes of preventing children under the age of 13 from registering with us. By entering this information, you are granting us permission to use your information in connection with the Site. You are responsible for maintaining the accuracy of your account information. You are fully responsible for all the activities that take place under your account, including the use of the Site by third parties, whether authorized or unauthorized. You agree to notify us when you discover that there has been an unauthorized use of your account. Further, you agree that you will not share your account password with any other person for any reason whatsoever. If you wish to terminate your account, you may do so by [INSTRUCTIONS]. We may terminate your account and/or access to the Site at any time, with or without cause, with or without prior notice. All content included or available on this Site, including without limitation Site designs and layouts, text, graphics, icons, images, photographs, streaming or audio and video, interfaces, the selection, compilation and arrangements thereof, and underlying software and code in various formats (collectively "COSMOS Content"), is owned and controlled by COSMOS and its affiliates, advertisers or licensors, and is protected by the copyright and trademark laws of the United States, international conventions and other countries. NEW YORK COSMOS ®, COSMOS ®, the various COSMOS logos and nycosmos.comâ„¢ are proprietary trademarks and service marks of COSMOS or its affiliates, including Cosmos Soccer Club LLC. COSMOS trademarks and service marks may not be used in connection with any product or service that is not provided, approved or licensed by COSMOS, in any manner that is likely to cause confusion or dilute the distinctive quality of the COSMOS marks, or in any manner that disparages or discredits COSMOS. COSMOS may offer products or services for sale through the Site, including through various vendors and licensees of COSMOS. All purchases are subject to availability. If any purchased product is not as described, your sole remedy is to return it in unused condition (subject to the terms of any manufacturer’s or vendor warranties). COSMOS and its vendors reserve the right to modify the price of any product or service offered for sale through the Site. COSMOS is not responsible for any typographical or other errors in describing any products or services. Any offer to sell any such products or services may be discontinued at any time in the sole discretion of COSMOS or its vendors. COSMOS grants you a limited license to access and make personal use of this Site. You may download and print pages and information from this Site only for your personal, non-commercial, use and reference. You may not modify, distribute, perform, display or create any derivative works from any COSMOS Content or further copy any Cosmos Content without the express written consent of COSMOS. This license prohibits any commercial use of this Site or its COSMOS Content or any use of data mining, robots or similar data gathering and extraction tools. You may not frame or utilize framing techniques to enclose any COSMOS Content on the Site without the express written consent of COSMOS. You may not use or embed in any other Internet site or blog any meta tags or other non-visible meta-data that incorporates any trademarks, service marks, logos or trade names of COSMOS or any COSMOS affiliates without the express written consent of COSMOS. Any unauthorized use of this Site terminates the license granted by COSMOS. You are granted a limited, revocable, and nonexclusive right to create a hyperlink to the home page of this Site as long as the link does not portray COSMOS, its affiliates, or their vendors’ products or services in a false, misleading, derogatory, or otherwise offensive matter. You may not use any COSMOS logo or other graphic or design Cosmos Content as part of the link without express written permission from COSMOS. You may download and print out pages and information from this Site only for your personal, non-commercial use, provided you retain all copyright, trademark and other proprietary notices. You may not use, modify, reproduce, distribute, republish, upload, create derivative works from, data mine, post or transmit in any way any COSMOS Content except as expressly permitted by these Terms or otherwise with the prior written permission of an authorized officer of COSMOS. You are solely responsible for your actions when using the Site, whether or not you have created an account with us. You may also be held responsible for encouraging or trying to have someone else do what you are prohibiting from doing. THE SITE IS PROVIDED TO YOU ON AN ’AS IS“ AND ’AS AVAILABLE“ BASIS. TO THE FULLEST EXTENT PERMITTED BY APPLICABLE LAW, COSMOS MAKES NO REPRESENTATIONS OR WARRANTIES OF ANY KIND, EXPRESS OR IMPLIED, INCLUDING, WITHOUT LIMITATION, THE IMPLIED WARRANTIES OF MERCHANTABILITY AND FITNESS FOR A PARTICULAR PURPOSE, TITLE, AND NON-INFRINGEMENT. WE MAKE NO WARRANTY THAT THE SITE WILL BE ERROR FREE OR UNINTERRUPTED, THAT THE RESULTS OBTAINED FROM THE SITE WILL BE ACCURATE OR RELIABLE, THAT THE QUALITY OF THE SITE WILL BE SATISFACTORY TO YOU, OR THAT ERRORS OR DEFECTS WILL BE CORRECTED. TO THE FULLEST EXTENT PERMITTED BY APPLICABLE LAW, NEITHER COSMOS NOR ANY OF ITS VENDORS, INCLUDING THOSE OFFERING SERVICES THROUGH THE SITE OR THIRD PARTY STORE FRONTS, SHALL BE LIABLE TO YOU FOR ANY DIRECT, INDIRECT, INCIDENTAL, SPECIAL, CONSEQUENTIAL OR EXEMPLARY DAMAGES, INCLUDING WITHOUT LIMITATION DAMAGES FOR LOSS OF PROFITS, GOODWILL, USE, LOST DATA OR OTHER INTANGIBLE LOSSES (EVEN IF COSMOS HAD BEEN ADVISED OF THE POSSIBILITY OF SUCH DAMAGES AND REGARDLESS OF WHETHER BASED IN TORT, CONTRACT OR OTHERWISE), RESULTING FROM: (i) YOUR USE OR INABILITY TO USE OR ACCESS THE SITE OR ANY LINKS EMBEDDED WITHIN THE SITE; (ii) ANY TRANSACTION OR USE OF ANY PRODUCT OR SERVICE FROM THIS SITE OR FROM ANY VENDOR; (iii) THE COST OF PROCUREMENT OF SUBSTITUTE GOODS AND SERVICES RESULTING FROM ANY GOODS, DATA, INFORMATION OR SERVICES PURCHASED OR OBTAINED OR MESSAGES RECEIVED OR TRANSACTIONS ENTERED INTO THROUGH OR FROM THIS SITE; (iv) UNAUTHORIZED ACCESS TO OR ALTERATION OF YOUR TRANSMISSIONS OR DATA; (v) STATEMENTS, POSTINGS OR CONDUCT OF ANY THIRD PARTIES ON THE SITE; OR (vi) ANY OTHER MATTER RELATING TO THE SITE. SOME JURISDICTIONS DO NOT ALLOW LIMITATIONS OF LIABILITY FOR INCIDENTAL OR CONSEQUENTIAL DAMAGES AND, ACCORDINGLY, SOME OF THE ABOVE LIMITATIONS MAY NOT APPLY TO YOU. You agree to indemnify, defend, and hold harmless COSMOS, its parents, subsidiaries, affiliates, officers and employees, from any claim or demand, and all resulting or incurred liabilities, damages, costs and expenses (including reasonable attorneys’ fees), made by any third party concerning, arising out of or relating to your use of the Site, your violation of these Terms, or any direct or contributory infringement or violation by you of third party intellectual property, publicity, privacy or other rights. We reserve the right to assume all or any part of the defense and control of any such claims and negotiations for settlement or compromise and you agree to fully cooperate with us in doing so. These Terms will be construed and enforced under the laws of the state of New York. You agree that the state and federal courts in the state and county of New York shall be the exclusive forums for any dispute arising out of these Terms and the parties hereby consent to the personal jurisdiction of such courts and agree to waive any right to plead, claim or allege that the state of New York is an inconvenient forum. You agree that you will only sue us as an individual. You agree that you will not file a class action, or participate in a class action. You and we agree that any dispute between us can only be brought in binding individual (non-class) arbitration to be administered by the American Arbitration Association ("AAA"). If, for any reason, AAA is not available, you or we may file our case with any national arbitration company. You waive any right to a trial by jury. Currently there are no charges to the consumer for use of the Site, except for the cost of any products or services purchased on or through the Site and any applicable taxes, shipping fees and other charges associated with such purchases. You agree that these Terms and any other agreements referenced herein may be assigned by COSMOS, in its sole discretion, to a third party in the event of a merger, acquisition or sale by COSMOS or its affiliates of all or a portion of its assets relating to the business involving the Site. These Terms shall apply in addition to, and shall not be superseded by, any other written agreement between you and COSMOS. Our failure to enforce any provisions of these Terms or to respond to an alleged breach by you or other parties shall not in any way waive COSMOS’ right to enforce subsequently any terms or conditions of these Terms or to act with respect to similar breaches. If you have any questions or to report any violations of these Terms, please send us an email at: support@nycosmos.com. 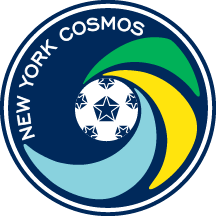 Copyright © 2013 New York Cosmos LLC. All rights reserved worldwide.